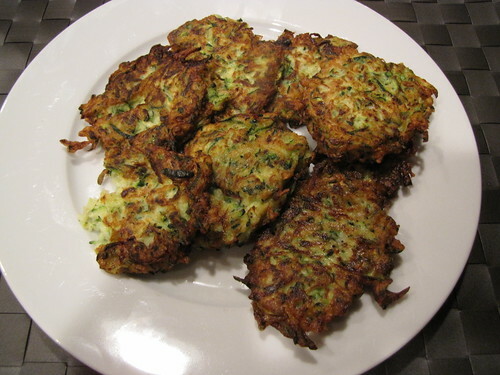 It is a miracle that there is a photo of these Zucchini Fritters. These were so ridiculously good, we were shoving them in our faces as fast as I could cook them. Even if you are suffering from zucchini overload by this point in the summer, I STRONGLY encourage you to make these. They are light, tangy, and melt in your mouth delicious. The recipe that I (mostly) used came with a suggested dipping sauce but honestly, who needs sauce. Not us. The recipe also said this makes enough fritters for 4 people and we certainly proved that to be a lie. 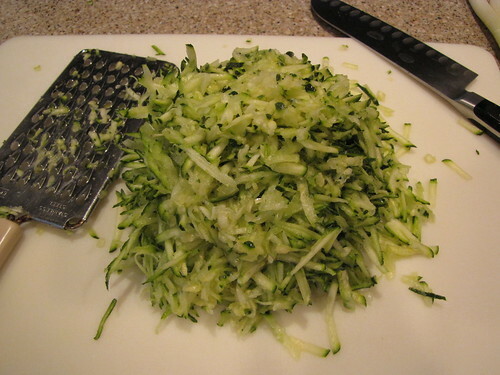 Cut the ends off of 2 medium zucchini and shred the zucchini with a grater. If you are making a bigger batch, you can use a food processor but I didn’t think it was worth cleaning the whole food processor for only 2 zucchini. 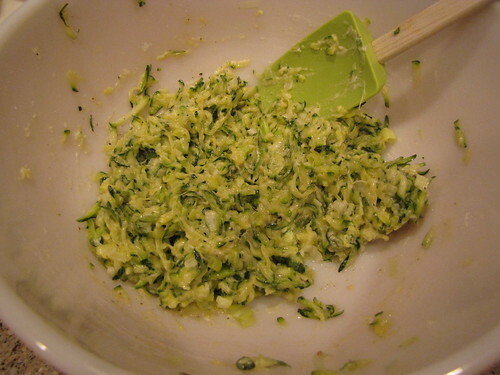 Place the grated zucchini in a strainer or colander and toss with 1/2 teaspoon of salt. Let the zucchini rest for 10 minutes so that some of the liquid drains out. 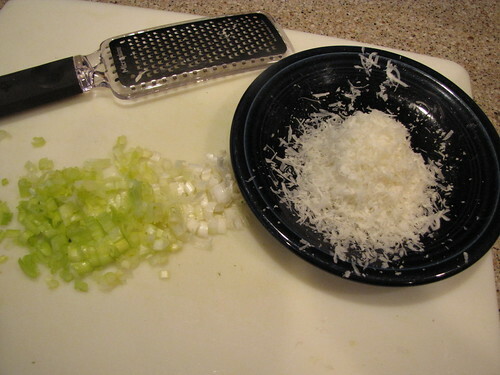 While the zucchini is draining, finely chop 2 scallions (green onions) and 1/4 cup of Pecorino Romano (or parmesan) cheese. See how much liquid has drained out of the zucchini? 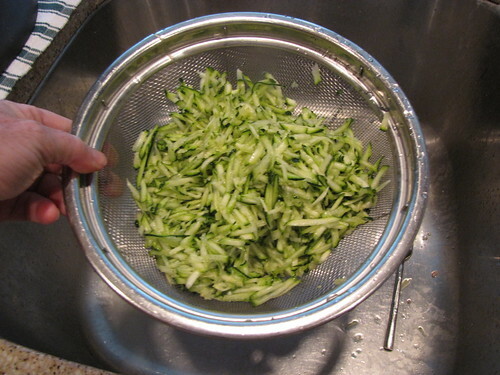 We want the zucchini to be as dry as possible so to soak up even more liquid, dump the zucchini out on a clean kitchen towel and squeeze as much moisture out as you can. You actually need to do this over the sink to get all of the moisture out and not make a mess. 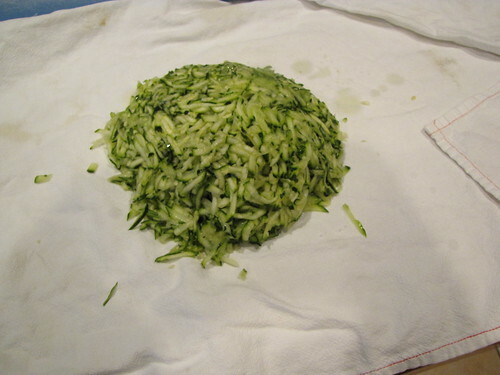 Place the dried zucchini in a medium bowl. 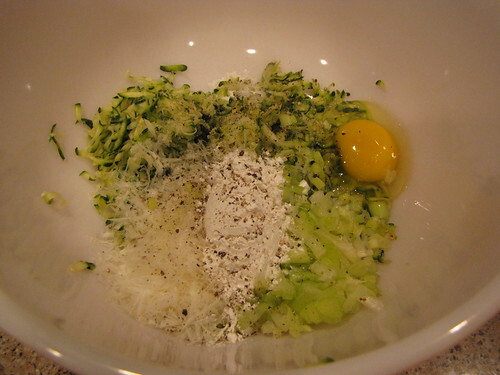 Add 1 egg, 2 finely chopped green onions, 1/4 cup of grated Romano cheese, and 1 Tablespoon of cornstarch. Season with 1/2 teaspoon salt & pepper and add 1/4 cup flour. 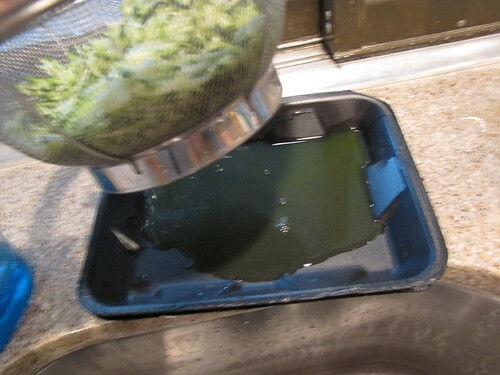 Heat 1/3 cup of vegetable oil over medium high heat in a large pan. Carefully test the oil by flicking a droplet of water in the skillet. If it sizzles, the oil is ready to go. 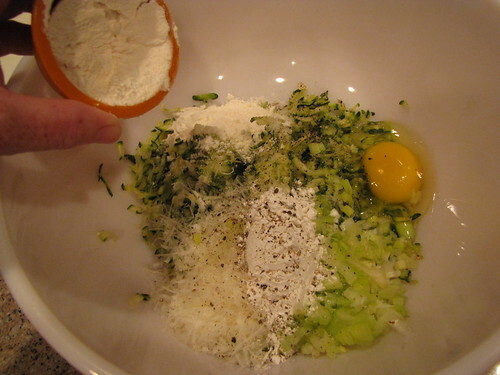 Drop spoonfuls of the zucchini mixture into the hot oil. I used my medium sized ice cream scoop which is about 1½-2 Tablespoons. 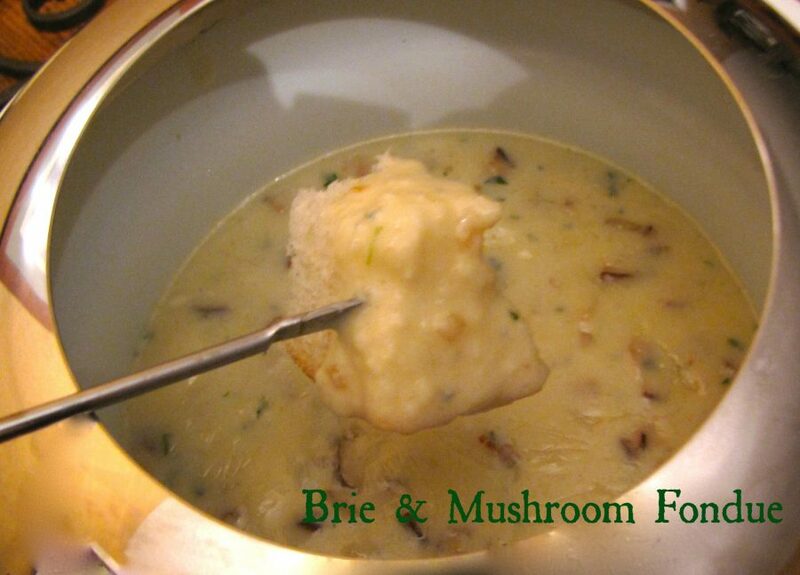 Cook until golden and crisp – 2-3 minutes per side. Drain the fritters on a paper towel. Work in small batches so they don’t crowd the pan. You can hold the cooked fritters in a warm oven (200 degrees) but I would put them on a cooling rack placed over a baking tray. If you just put them on a plate, they will start to get soggy. I planned to serve these with a dollop of sour cream but as I mentioned before, there’s no time for dipping sauce or dollops when fritters are this good! 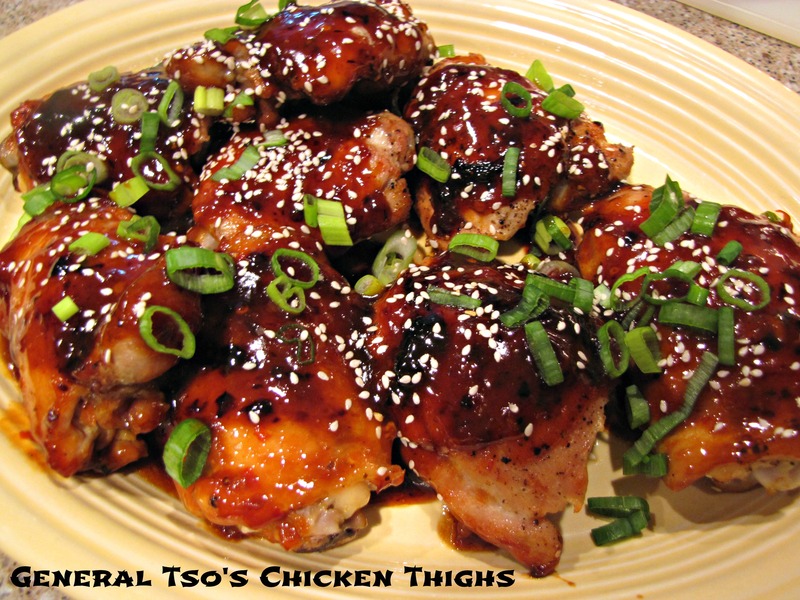 These would be a great side dish to almost any meal. They would also make great appetizers. I’d be happy to eat them for breakfast, lunch, dinner, snack time…anytime. I’m not a huge fan of frying things but these are going straight to the top of the yearly zucchini recipe rotation. YUM! I hope the bleach didn’t hurt that sweet little cowboy (embroidered?) on your dishtowel! Mm, sour cream on the side, I’m dying! The cute dishtowel lives! Right as I put the zucchini in it I thought, “Why didn’t I grab a towel from Target rather than one my grandma made.” However, the grandma towels are always in my kitchen because they are pretty much indestructible. Lots of water and oxiclean and just a little bleach and the little guy is as good as new! Now I’m hoping that someone will give me their extra garden zucchinis!! 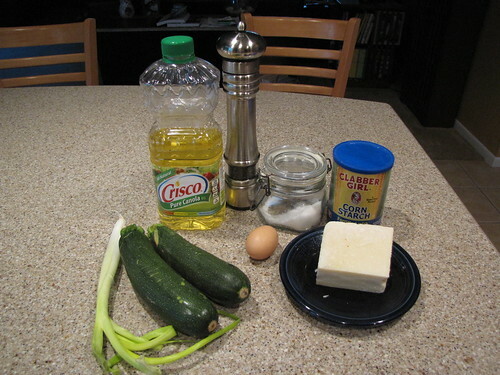 I’m not big on frying stuff either….but if it’s zucchini, it has to be healthy right?? Yeah, right. These look amazing and I’ll be trying them very soon! I know, i love them too, GF and vegan, yumyumyum! I made these last night and they disappeared! 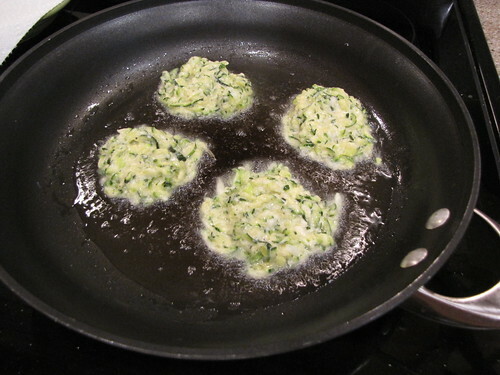 I’ve tried other recipes for zucchini pancakes (as we call them) but these were amazing. We’ll be making these again. Especially since ALL the kids liked them. I looked at a bunch of different recipes and ended up adding the Romano cheese after I saw it in another recipe. I think that makes a HUGE difference in the flavor. 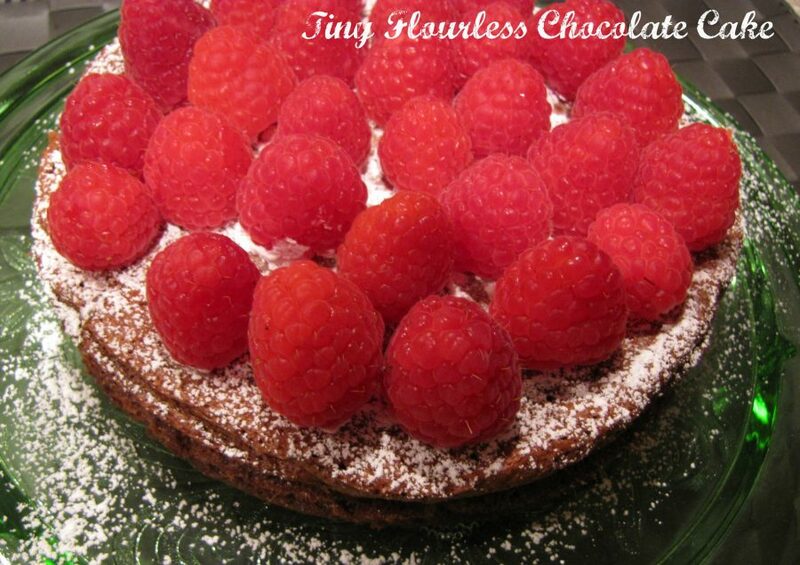 It might be time to make these again. I know Jim wouldn’t complain! 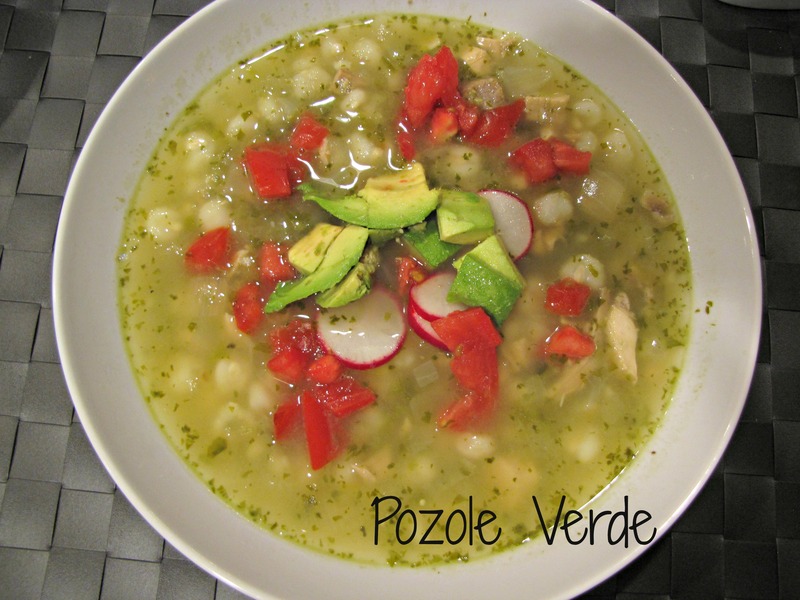 I’m going to try to get my husband to make these (he does nearly all the meal planning and cooking these days); however, he is notoriously bad about following recipes. 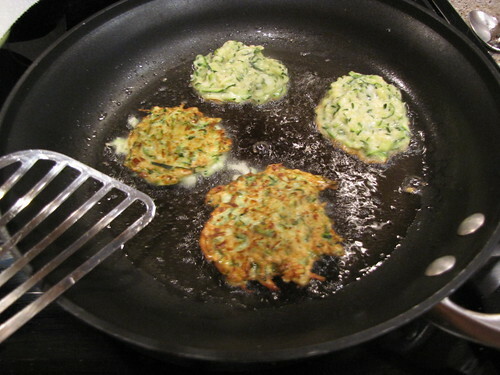 He does make some killer zucchini medallions (batter dipped and fried). Okay, since we let our zucchini get much bigger than a “medium” zucchini, will you PLEASE let me know approximately how many cups you ended up grating for a single recipe. WOW, these are even better than I expected! I used 2 pretty big zucchini, and substituted a bit of vidalia onion for the green onion, and added half a jalepeno. It yielded 12 fritters, each about the size of a medium egg. 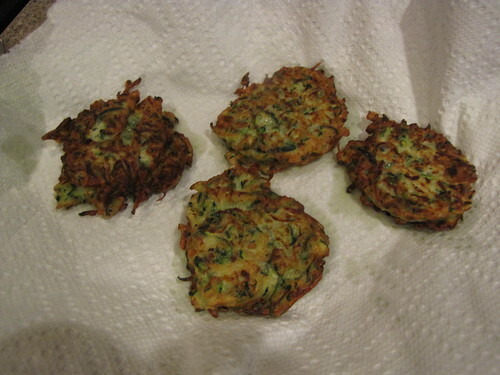 The frying went well, despite my inexperience, and they held together perfectly like miniature hockey pucks…so much fun!